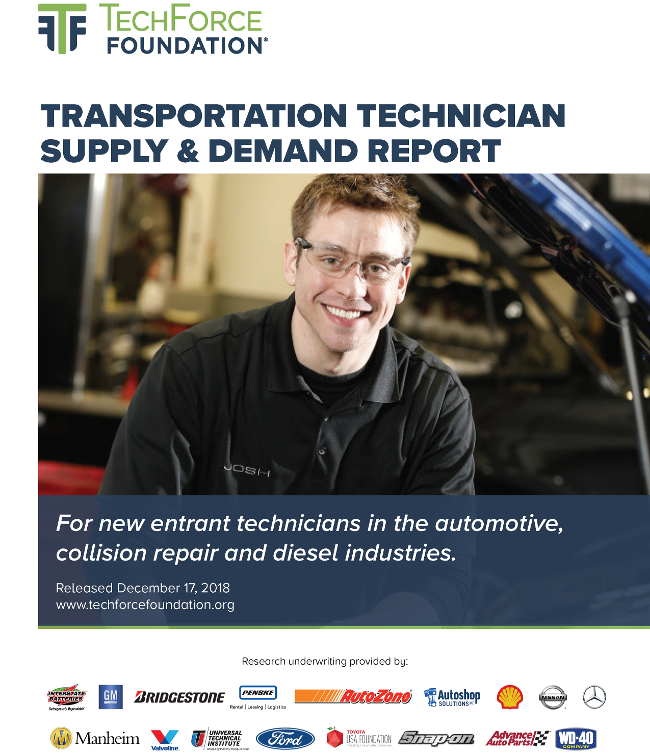 The Transportation Technician Supply & Demand Report supplements the previous Technician Demand and Technician Supply report, adjusting prior projections to reflect newly published research from the National Center for Education Statistics and TechForce’s own analysis of Bureau of Labor Statistics data. What do this year's projections for the technician shortage mean for your business? Complete the form below to unlock the most recent analysis of transportation industry workforce data, along with the original New Entrant Technician Demand and Supply reports.